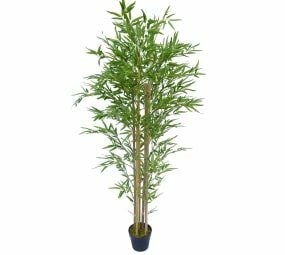 Welcome the tropics into your home with a stunning fake bamboo with natural bamboo trunks and real touch leaves. 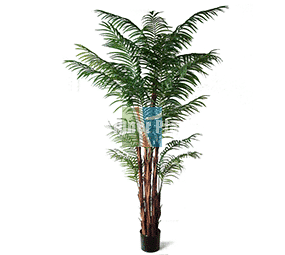 Measuring 180cm from the ground to top leaf this is an elegant and bold addition to your artificial plant world! 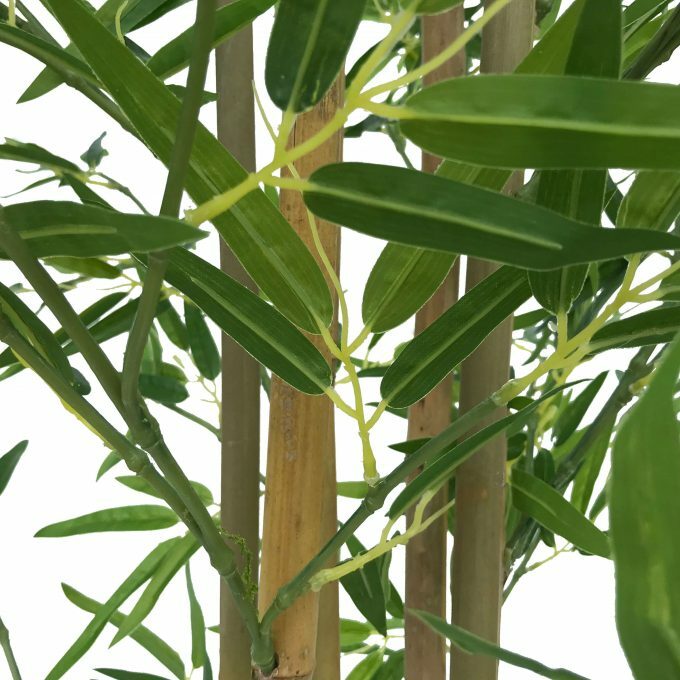 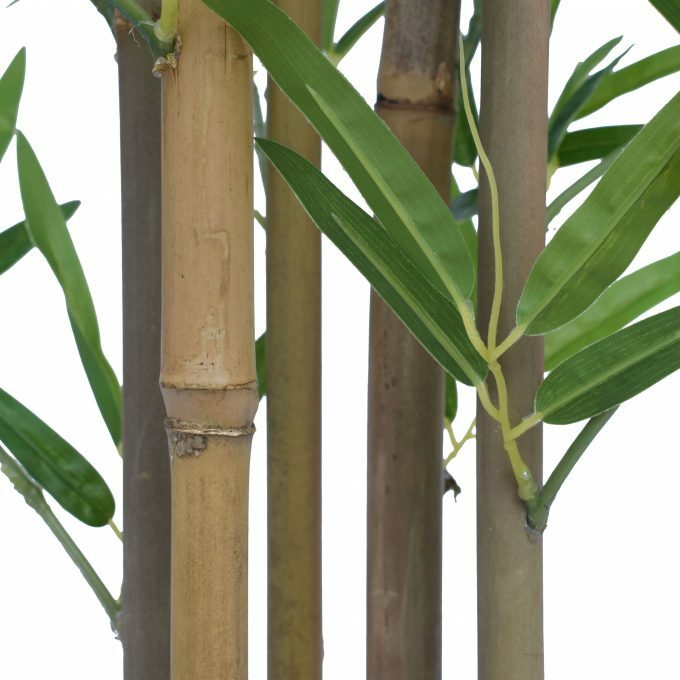 Premium Real Touch Artificial Bamboo With Natural Coloured Trunks. 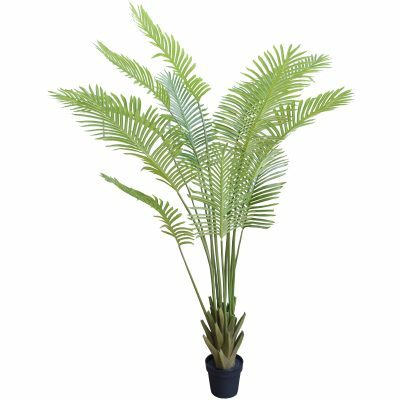 Why go on an overseas holiday when you can create the tropics at home; bristling fresh air and natural breezes are just a few emotions this superb plant will conjure up. 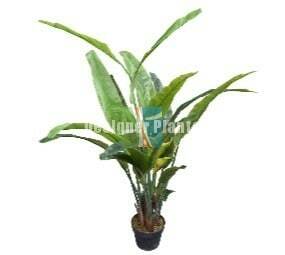 This is simply a superb artificial plant, that speaks quality each and ever plant. 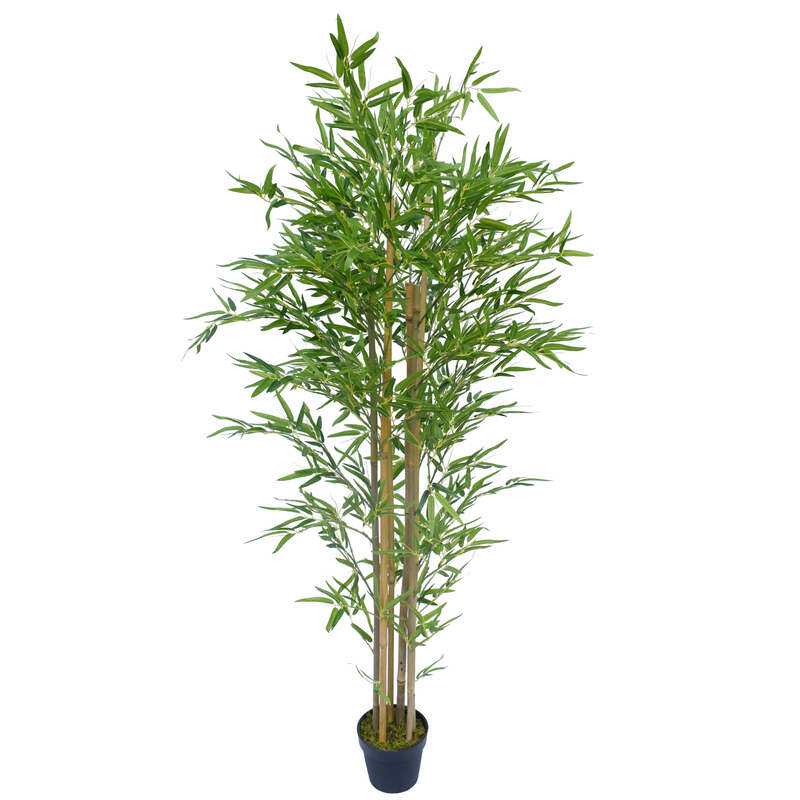 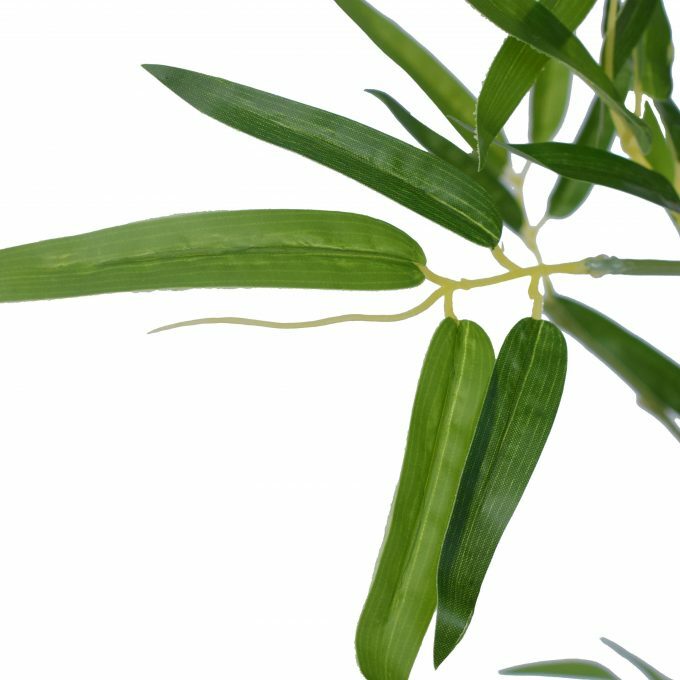 Hand assembled with vivid green leaves, you will have an bespoke artificial bamboo that will be the talk of the town. 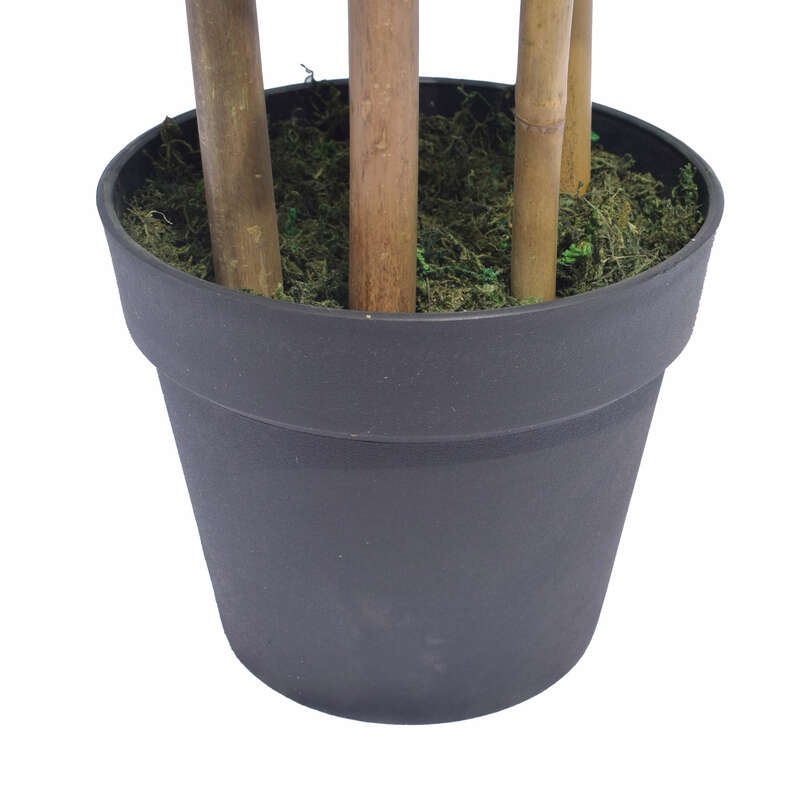 Designed specifically to Designer Plants highest quality standards this is a quality creation that looks second to none. 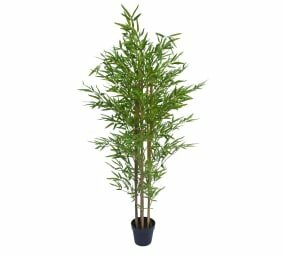 The plant is perfect for indoors near an entrance way, as a cluster along a corridor or sporadically placed to liven you living room, office or reception area!